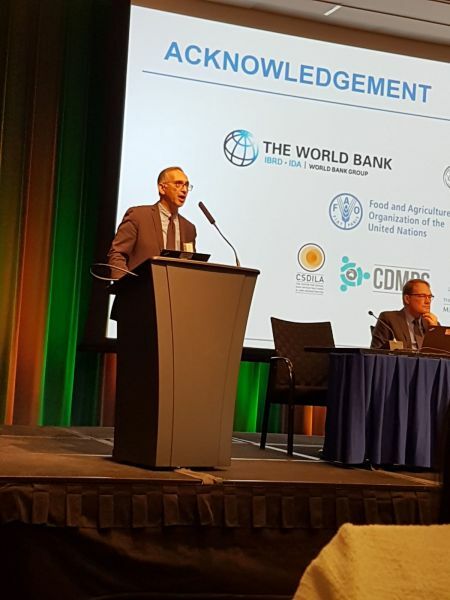 We are delighted to collaborate with the World Bank on the project: ‘Improving Resilience and Resilience Impact of National Land and Geospatial Systems’. 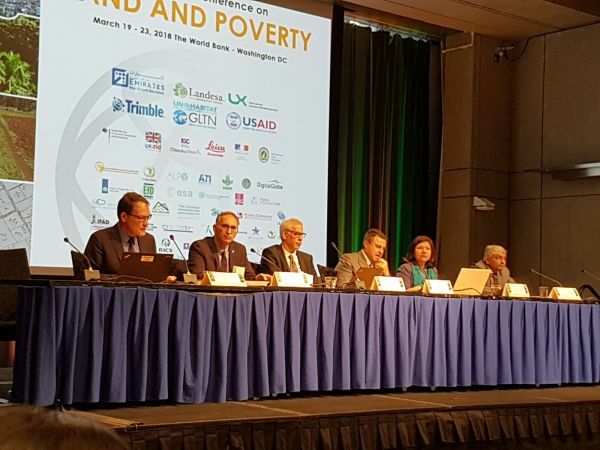 Last week, our joint research team, led an international expert meeting and a plenary panel on this topic at the World Bank Annual Land and Poverty conference in Washington. The meetings focused on the scope and initial findings of our collaborative project with the World Bank, on the same topic. The event offered the opportunity for us to present our inception report outlining relevant literature and a best practices analysis. We also interacted with the country consultants engaged on the project, including India, Nicaragua, Nigeria, Norway and Turkey, who provided their preliminary findings and insight from their country contexts. The event provided a chance to carry out an in-depth discussion with many key international organisations. The event was a great success and was well attended by representatives hailing from countries such as Finland, Norway, Uganda, Nigeria, Nicaragua, Netherlands, UK, Peru, Moldova, Slovenia, Greece. Representatives also attended from a number of sectors of the World Bank, including the Land Sector, Disaster Risk Management Sector, and the Global Facility for Disaster Reduction and Recovery Unit, who participated in the discussion and offered keen observations and input into the project. Following the expert meeting, our team participated in a Round table discussion event with high level members of the World Bank to gain further insight into the important themes and issues surrounding our project topic. We were given a chance to present in a panel session during the conference, which we used to present our project and findings, and to conduct an interactive panel discussion with attendees.